The National Black Genealogy Summit will take place October 20 – 22, 2011 in Fort Wayne, Indiana. Fort Wayne is home to one of the nation’s most comprehensive collections of genealogy records, and an excellent source of documents pertaining to Black genealogy in particular. The three-day conference will feature a number of nationally-known genealogy and research experts, and a wide variety of workshops for everyone from beginners to experienced family researchers. The event is sponsored by the Indiana Genealogical Society; the Friends of the Allen County Public Library; and Ancestry.com. For more information, please visit http://www.blackgenealogyconference.info. It’s Grandmothers Day at the Carnival of African American Genealogy. The theme for this 2nd Edition of the CoAAG is Grandma’s Hand: Grandmothers and Their Influence On The Family. We invited you to tell your stories and share memories of your grandmother. The stories we received pulled at our emotions and warmed our hearts. They reflect the heart and soul that is in every grandmother. Grandmothers are the cornerstone and foundations of our families; not just African American families, but all families. Your stories and memories reflect the truth of that statement. An array of grandmothers has shown up for this very special event, and the spotlight is shining on them. A gallery of beautiful images starts this event followed by stories full of love and special memories. We hope you enjoy this special CoAAG. It’s all about our Grandmothers. We are here to honor them. Vicky Daviss-Mitchell presents Carnival Blog: GrandMa’s Hands posted at Mariah’s Zepher. Vicky makes us laugh, cry, and smile with memories of her grandmother, Essie Dean Taylor. Luckie Daniels presents 2nd Edition ~ Carnival of African-American Genealogy: Grandma’s Hand ~ I’ll Fly Away, Memories of Annie CARTER JACKSON posted at Our Georgia Roots. Luckie shares heartwarming memories of her great grandmother Annie. Luckie’s Grandma Annie always said… “A cow will need his tail to fan flies for more than one summer.” Meaning: Don’t worry if someone does you wrong, they will need you again! Angela Walton-Raji presents The Carnival of African American Genealogy: Grandma’s Hands – – Remembering Grandma, Nanny & the Ladies posted at My Ancestor’s Name. Angela honors her grandmothers with memories of quilts, sassafras tea, and “play pretties”. Renate Sanders presents CoAAG- Grandma’s Hands: Grandmother’s and Their Influence On The Family posted at Into the Light. Renate takes us on a sentimental journey with tributes to her grandmothers. Mavis Jones presents Carnival of African-American Genealogy, 2nd Edition- Grandma’s Hand posted at Georgia Black Crackers. 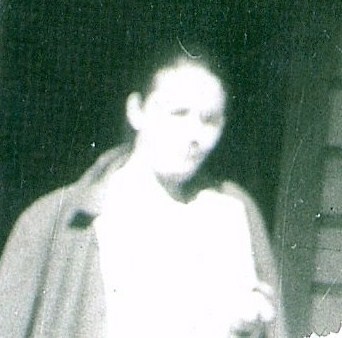 Mavis takes us on a last visit with her “Little Grandmother” Mary Magdalene Pierce Hosch. Leslie Ann presents Carnival of African-American Genealogy 2nd Edition- -Grandma’s Hand posted at Ancestors Live Here. Leslie Ann shares memories of her Grandma Piggott, on what would have been her 99th birthday. Gini Webb presents Lieselotte “Oma” Haf 1913 ~ 2010 posted at Ginisology. Gini shares a beautiful tribute to her Oma who recently passed away in Germany at age ninety-six. Gini holds dear loving memories and keepsakes from her dear sweet Oma. Luckie Daniels presents 2nd Edition ~ Carnival of African-American Genealogy: Grandma’s Hand ~ Memories of Lena Mae McKENZIE BARWICK posted at Our Alabama Roots~ Barwick & Related. Luckie shares the poem written by her brother for their great grandmother’s 100th birthday. Felicia Mathis presents Carnival of African American Genealogy: Grandma Hands! Grandmothers and Their Influence on the Family! posted at Echoes of My Nola Past. Felicia honors the memory of her NaNa- Odessa Amos. Drusilla Par aka “Professor Dru” presents Memory Monday: Grandma’s Hands and HomeMade Biscuits posted at Find Your Folks. Professor Dru writes about her memories of homemade biscuits made by her maternal grandmother. Mavis Jones presents Carnival of African-American Genealogy, 2nd Edition- Grandma’s Hand posted at Conversation With My Ancestors. Mavis shares special memories of her Grandmother Jones. Kathleen Brandt presents Grandma’s Hands posted at a3Genealogy. Kathleen shares memories of her grandmother and the beautiful quilt made with pieces from her grandmother’s dresses. Sandra Taliaferro presents Carnival of African American Genealogy, 2nd Edition: Grandma’s Hand ~ Julia Ann (GATES) MIDDLEBROOKS MINTER posted at I Never Knew My Father. 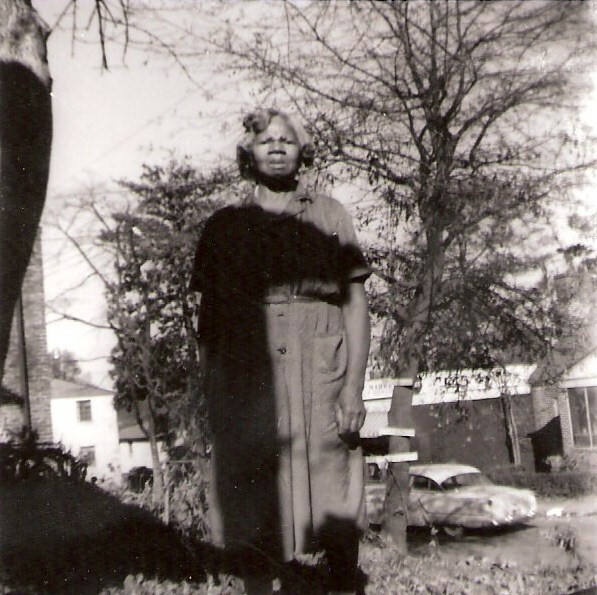 Come with me to Woodbury, GA as I share memories of my maternal grandmother. Amy Cain presents Grandma Don’t Take No Mess! posted at Reconnected Roots. Amy shares memories of her Grandmother Para Lee “a tough-talking, no-nonsense disciplinarian”. Luckie Daniels presents 2nd Edition ~ Carnival of African-American Genealogy: Grandma’s Hand ~ A Bridge Over Troubled Water, Memories of Fannie Louella JACKSON BARWICK posted at Our Georgia Roots. Luckie pulls at our heartstrings with memories of her grandmother “Anbownes”. Dionne Ford presents Carnival of African American Genealogy: Grandmother’s Hands posted at Finding Josephine. Dionne shares loving memories of her great grandmother Marie- “a perfect picture of composure and grace”. George Geder presents Carnival of African American Genealogy 2nd Edition – Grandma’s Hand posted at Geder Genealogy. George shares memories of his grandmother, Willa Lenard Hancock. Darlene presents A Model Grandma posted at My Colored Roots. Darlene shares great family memories of living with her Grandma Clara. Military research can yield important genealogical information. Yet, many overlook this valuable resource. 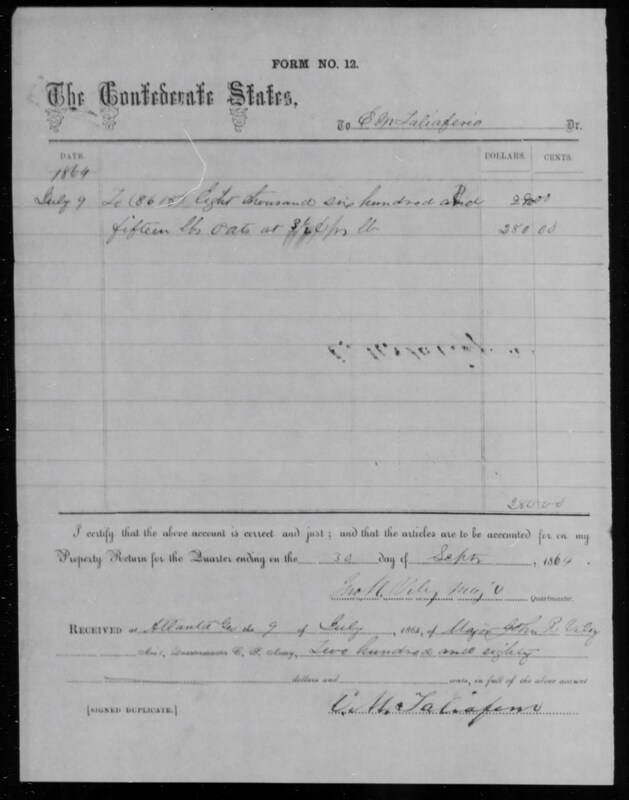 Have you researched military records for your African American ancestors? In your research, what did you find out about their service? If you have not done any research in military records, this CoAAG presents the perfect opportunity to get started. For the 3rd Edition of the CoAAG, tell us about your African American ancestor(s) who served in the military and write a post to honor them. If you don’t have an African American ancestor with military service, but know of one who served honorably make this an occasion to honor that person. By Submission Form. Use the quick and easy CoAAG submission form provided by Blog Carnival provided by Blog Carnival. By Email. Send an email to the CoAAG at CoAAG2010@gmail.com. Include your blog name, the post title and permalink URL of your carnival submission. Make sure to put ‘They Served With Honor’ in your email subject line! ** A special “Thank You” to Luckie Daniels for the image gallery, and for her guidance through this process. Your support and assistance were invaluable. My friend Luckie Daniels of Our Georgia Roots, has written another thought provoking Monday Madness post, this time to the African American Genealogy Community – Madness Monday: The Digital Divide Revisited ~ Tough Love For The African-American Genealogy Community. After commenting on Luckie’s post, I realized I had actually written my next post. Yes, I could have let that suffice, but I felt I needed to show my support for and belief in Luckie’s position here on my blog. So often, we sit back in the amen corner bowing our heads up and down in agreement, but never speak-up and take a stance. I wanted to echo Luckie’s sentiments. My comment to her did that, and posting it here reiterates it. There needs to be some serious changes in the African American genealogy community; those changes need to occur sooner, rather than later before we are standing in the shadows as the online genea-community moves forward. Thank you Luckie for a very timely and long overdue post. How sad it was to hear people who have been researching their family history for years stand up in a meeting and ask for help, but they are not on the internet, don’t like, won’t do it. There are so any resources out there, and many connections to make, but you won’t find them in your living room or in the archives. Genealogy is changing, and the African American community of researchers must change with it. And, it’s not only in genealogy. As another comment so appropriately pointed out, we are missing a wealth of information and resources by not being a part of the online community. It is up to us to take advantage of what is there. After Luckie’s post, Monday Madness: Open Letter To The Genealogy Community – Help Me To Understand!, many white researchers are now stepping up and sharing documents that might assist researchers in discovering more about their enslaved ancestors. The first Carnival of African American Genealogy is scheduled for March 19th. Look at all you’ve missed just in the last few weeks! How can you possibly take advantage of the opportunity to have access to documents that could help you make that long-awaited connection, or break down that brick wall, when you are not here-online and interacting with the genea-community? How can you ask others to help you, when you won’t even help yourself? Luckie has issued a challenge, this time to the African American genealogy community. It is a call to action that I hope our fellow African American researchers will answer-SOON. Let’s not be left behind.